The government is considering increasing the amount that society lotteries can raise from £10m to £100m a year. 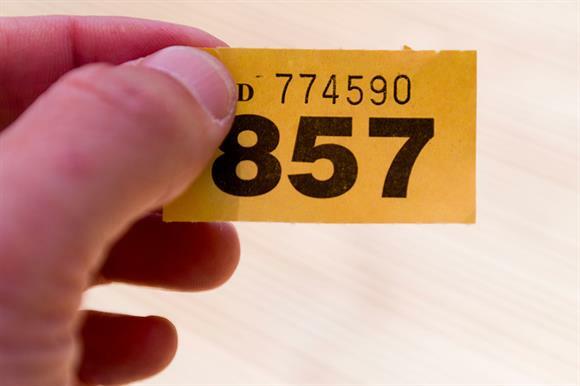 Society lotteries are run by charities and other non-commercial organisations such as sports clubs, allowing them to raise money for the good causes they support. In a consultation document launched today, the Department for Digital, Culture, Media and Sport recommends increasing the maximum draw prize from its current limit of £400,000 to £500,000. The consultation will also ask for views on increasing the number of tickets society lotteries can sell to a value of £100m a year and the amount they can raise per draw to £5m. The Gambling Act currently limits society lotteries to £4m of sales per draw, £10m of sales a year and a maximum draw prize of £400,000. The limits were last changed in 2009. The government said in a statement that the move would allow charities and community groups to increase the amount they raise through society lotteries, while protecting the National Lottery’s ability to raise money for good causes. Tracey Crouch, the Minister for Sport and Civil Society, said in a statement that society lotteries were an important fundraising tool for charities and the government wanted to "ensure that both society lotteries and the National Lottery are able to thrive now and in the future". Sector bodies have previously disagreed over proposals to ease restrictions on society lotteries and increase the amount they can raise. In 2015, the National Council for Voluntary Organisations argued that the cap should be limited to £15m a year, rather than £100m a year. Daniel Fluskey, head of policy and external affairs at the Institute of Fundraising, said the organisation was pleased that the DCMS had taken action. "We know that the existing system restricts how much charities can raise through the limits set and welcome this opportunity to review how the system can work better so we can raise more money for good causes and beneficiaries," he said. Clara Govier, managing director of the People’s Postcode Lottery, said the proposed reforms would help to reduce administration costs and ensure that millions of pounds more went to local and national good causes. But she added: "We urge ministers to be more ambitious in regards to the draw limit and we will make that point in the consultation period. The draw limit also affects society lotteries and it seems odd that, although it was doubled from £2m to £4m in the four years from 2005 to 2009, it is proposed to increase only by £1m over the nine-year period between 2005 and 2018. That is despite society lottery proceeds having more than tripled in that period."